"The ‘look-alike, sound-alike’ nature of many drug appearances and names is problematic. In high-stress environments such as the Emergency Department (ED), potential disasters can arise if “drug swap” or other medication errors occur. Drug swap is the accidental injection of the wrong drug. 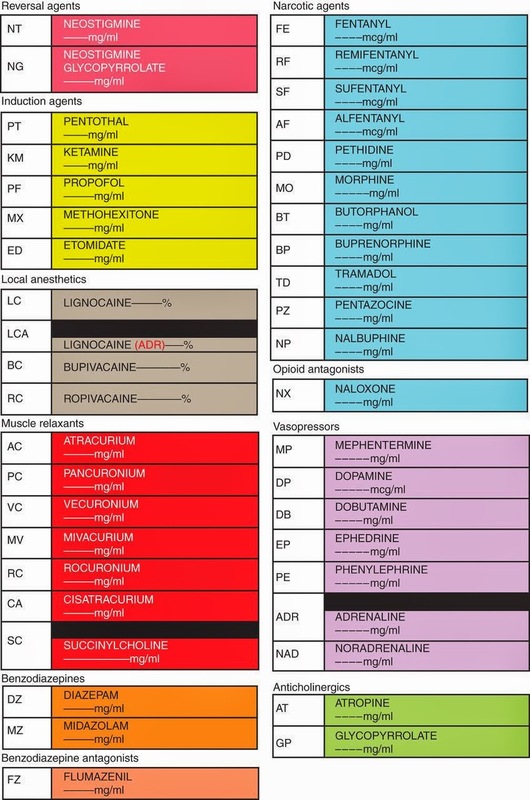 The anesthesiology literature contains several published reports presenting various ideas on how to properly label syringes used in the operating room to reduce medication errors. Techniques include color-coding the labels, labeling of the plunger, double-labeling, and specific placement of the labels on the syringe."